Inspired by the warm waters of the Caribbean, this is the ultimate collection of country flavored songs about life as seen through the eyes of a uniquely insightful storyteller. 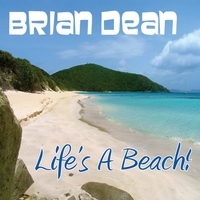 Brian is a Caribbean based singer/songwriter who takes real life events and adds a little 'artistic license'. He sees life with a keen eye and a marvelous sense of humor. Along with his great ability to tell a story, there is a lot of insightful observations. His voice is deep and calm but also commanding. Brian's voice is what creates a distinction from being just another song on the radio to something that may make you take out your smartphone and figure out what you are listening to. Brian has performed with country greats Tammy Wynette and Steve Wariner as well as headlined with actor/performers Chip Esten, Jonathon Jackson, Chris Carmack, Sam Palladio and Aubrey Peeples of ABC's hit night time drama "Nashville". As a songwriter, Brian has been recognized by Nashville Songwriters Association International (NSAI) as 'One To Watch' in 2013.